Designed for you, to get the most out of your continuing education program! The QuestTrak application is used by insurance and mutual fund wholesalers and sales support professionals who host continuing education events for their financial advisors. 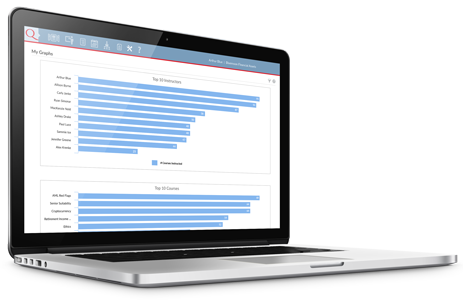 QuestTrak offers an array of scheduling, tracking, and reporting capabilities, allowing firms to more effectively manage their value-added insurance and designation CE program from one centralized location. 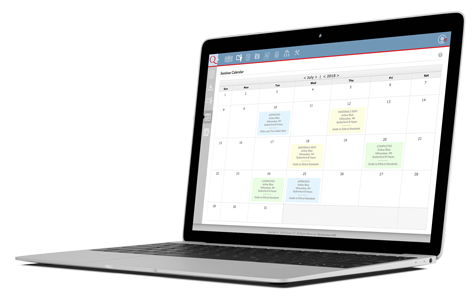 QuestTrak's interactive calendaring system allows you to view, edit, copy and cancel continuing education events efficiently, as well as bookmark seminar requests for completion at a later date. The system also prevents scheduling conflicts and compliance errors from occurring by validating that all courses and instructors are approved, across each state/designation board. In just a few clicks, program administrators can easily access at-a-glance reports detailing the success of your CE events, instructors and top performing courses. Your wholesaling team is also given the ability to easily follow-up with attendees to further the sales process and gain more traction with prospects. Having trouble marketing to busy, traveling advisors?